The bounties of nature are what make our fair state so amazing. We help you build, not impede. 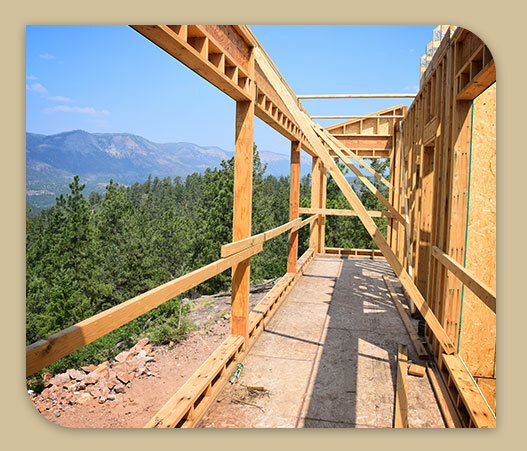 Connect with us for sustainable, Colorado-focused home and building design. We collaborate with you for the best design possible. We emphasize sustainability in our designs. We think “energy efficiency” with each design, including remodels and additions. We specialize in passive design to give better comfort with less energy usage. We help you choose the best site based on your home dreams. We guide you through the entire process with care. No matter what your project, the team at PEAK Architecture is passionate about helping you create the right design. From collaborating with you on each aspect of the design to helping you pick the perfect site, we put emphasis on a custom, collaborative design process. We use our experience and expertise as we work with you to create custom designs that fit your needs and wants. While collaboration is a big part of what we do, so is sustainability. There have been plenty of advances in eco-friendly, net-zero building in recent years. We want to harness those advances and incorporate environmentally-friendly improvements into every design as a way to help protect and preserve the beauty that makes our region so wonderful. We specialize in net-zero and passive house design. These are techniques that put sustainability and energy-saving measures at the forefront, without compromising the comfort of the home. The goal, ultimately, is to make each home design serve as the basis for a comfortable building that will last for years to come while impacting the splendor of Colorado as little as possible. We recognize that building in the Roaring Fork Valley comes with its own special hurdles. Building in the mountains isn’t easy! Our goal is to work with you through every step of your architecture design creation to make building your dream home as seamless as possible. But at the same time, we want to do as much as possible to protect and preserve the bounties of nature around us. We use our experience and knowledge of sustainable and net-zero building needs to help minimize the impact our designs will ultimately have on the environment. Recent studies have shown that “buildings are the largest contributor of greenhouse gases in Pitkin County,” according to the Aspen Times. The more we can do to mitigate negative environmental effects through our designs, the more we will be able to preserve our stunning region. Not to worry, though. We are more than willing to explain options and walk you through every choice made and how it will help reduce the environmental impact of your building. There is no need to dive in knowing everything you want and need. Start with a project consultation to learn more. Connect with our residential architecture team to explore all we can do for your future home!